India's capital market regulator, The Securities Exchange Board of India (SEBI) recently in the board meeting on Tuesday took a major decision to cut down the mutual fund fees and the expenses that is paid by the investors to the mutual fund houses and this decision will have an overall positive impact for many of the investors.On contrary the decision by the regulator was not open heartedly welcomed by the Mutual fund houses and other asset management companies (AMC). Moreover, SEBI took many other major decisions in the board meeting which was headed by the SEBI'S chairman Mr. Ajay Tyagi. Let me give you a glimpse about all the major decisions taken by SEBI. The Securities Exchange Board of India(SEBI) is the supervisory and regulatory body, which is constituted by the government of India in order to regulate the securities market in the country as well as to protect, safeguard the rights and interest of the investors. Moreover, SEBI prohibits fraudulent and unfair practices related to securities market. It provides all protection to the investors and their interest in order to ensure a steady flow of saving into the market. 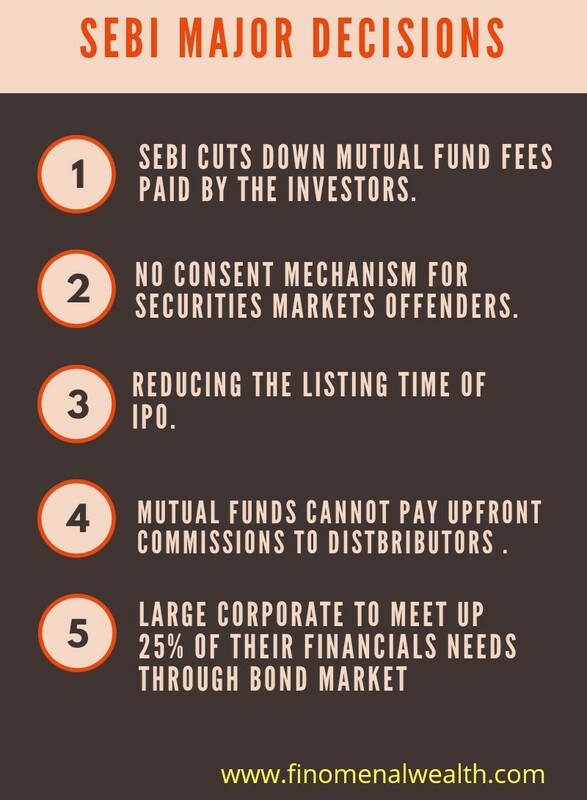 As SEBI cuts down Mutual Funds fees, this is a very beneficial for investors. How it will be beneficial to the investors. The regulator has taken measures to cut down total expense ratio for equity by cutting the fees that the mutual fund charge from the investors for handling over the money that is collected by the mutual funds from the investors annually and this decision was taken with a whole sole objective to make it cheaper for investors to invest in equity mutual funds and related investing products and instruments and this will add to their portfolio value. This will protect the interests of small and retail investors. The existing investors will find an opportunity to invest more and to increase their amount of investments in mutual funds so as to get more and more benefit from this decision. This will increase the assets under management and more money invested in stock markets.Thus giving a boost to "mutual fund Sahi hai" campaign. Mutual funds cannot pay upfront commissions to the mutual fund distributors and thereby this will reduce the occurrence of misselling of the mutual fund products. SEBI has made regulations that any kind of offenders will not be able to escape or run away with serious offences in the financials markets by modifying the consent mechanism for security market offenders. Furthermore, SEBI has also reduced the listing period after the initial public offering IPO.Hence, the reduced time has now being narrowed down to list up IPO to 3 days.The benefit is that the money invested by the investor will not stuck in the market for longer period. The corporate giants who are established in large business will have to meet up to 25% of their financial needs by borrowing via bond markets. Moreover, The securities exchange board of India is likely that It will be discussing a stricter framework for fiduciaries in the stock market, including the auditors and valuers SEBI would have more powers to take action against the fiduciaries in case they submit false certificates, reports or violated regulations and in case of frauds. How mutual fund and AMC will be affected. The dicisions had been spotted as gainful for investors but on contrary the dicisions was painful for mutual fund houses and AMC because this would drastically affect the revenues and profit of AMC and Mutual funds houses. This was seen on the stock market where stock prices of HDFC MF as well as Reliance Nippon AMC fell by 8.6% and 11.3% respectively but still there is also a positive side and this decision will be helpful in increasing their assets under management as investors on finding cheaper to invest will increase their amount of investment in the market. SEBI is the regulatory authority of capital markets and perform all the functions to safeguard the rights of the investors. Hence the decisions taken was a strong initiative in favour of investors. 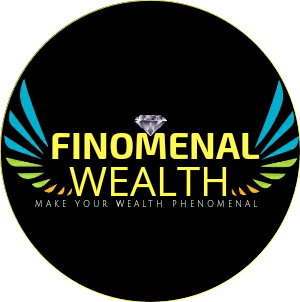 Furthermore will increase opportunities for investing and will encourage investors to invest in mutual funds. However,the shares of AMC fell on the following day after the decision but this fluctuation and volatility in the charts of the share prices and the dip is just for short term and has nothing to deal with long term prospective as both the companies HDFC AMC and Reliance Nippon AMC are both fundamentally strong companies and do hold market leader positions.